The holidays are here!! Christmas music is on full blast, nearby stores are bustling with shoppers, and snowflakes are in the air. Yet the happiness and joy that is so often highlighted during this time of year can also come with a lot of hidden (or not so hidden!) stressors. Stress around travel plans, present buying, and busy schedules can leave us feeling tired and anxious. Not to mention all of the excess sugars and processed foods that tend to fill our diets and wreak havoc on our system during this time of year. Yes, this season is a time of great togetherness and joy, but it can also be a time that pushes our physical and mental health to the limit, too. Is there a way to enjoy and indulge during the holiday season and not spare your health in the process? The answer is -- YES! It just takes a bit of prioritizing... prioritizing YOU! In the weeks that follow, I encourage you to allow time and space to focus on what you need. When you are performing at your best, you are able to share that energy with those around you! We so often let everyone else's needs come before our own and this leaves us feeling rundown and sick. So, let's finish the rest of this year feeling happy and healthy, what do you say?? I invite you to take and moment and find a quiet space to sit and reflect. Read through the questions below and listen to the answers that come to you (no judgements). You may want to grab a journal and right down what you hear, or feel free to just close your eyes and listen. How does your body feel at this moment? Do you feel calm and relaxed? Tense or impatient? Remember, there is no "right" or "wrong" answer, just acknowledge what comes to you! How are you feeling emotionally? Are you excited? Anxious? Perhaps you're feeling sad or reminiscent? Take a moment to listen. Have you been honoring the present moment? Or has your mind been preoccupied with the days to come? What do YOU need, right now, in this very moment? Time alone? A soothing bath? You can utilize this practice as often as you need throughout the next couple of weeks. The real innerwork happens when you begin honoring the answers that come to you and start taking action! How can this practice serve you throughout this busy season? Alright, now that we have our mind-set in the right place for the holidays, let's chat food! Believe it or not, food is a huge trigger in signaling our body's stress response. With our immune system already being compromised during this time of year, the food we choose to eat can be make or break our immune system. When your body is already fatigued from the hustle and bustle of the holidays, the last thing you want to do is fill it with extra sugar and refined carbs that may compromise your immune system. If I could recommend one thing to all of my clients, it would be to start your morning off with a high fat, protein, and fiber packed meal! Choosing these three key components to start your morning will help stabilize your blood sugar (say goodbye to those pesky sugar cravings!) and will keep you energized and satiated throughout the day! You will feel less likely to binge on unhealthy options when you’re feeling full and nutritionally satisfied. 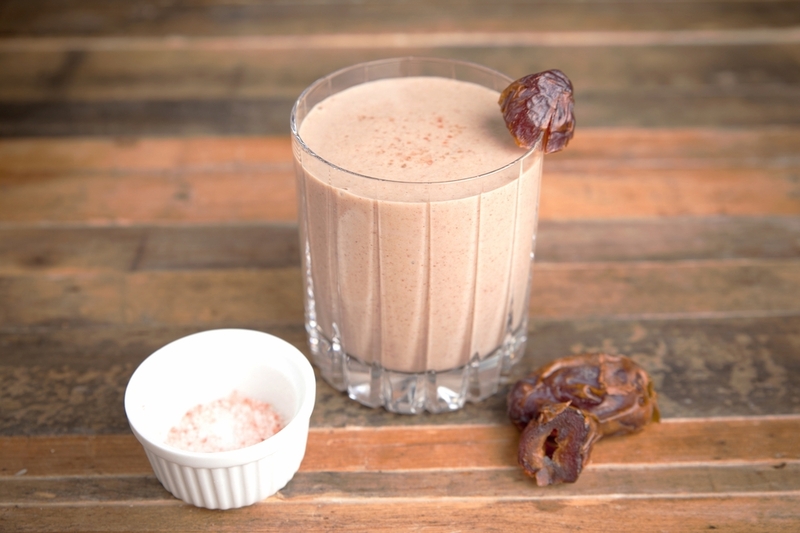 Try any of these amazingly easy smoothie recipes by holistic nutritionist, and wellness expert, Kelly LeVeque. A great way to start off your morning! Choosing meals with lots of VEGGIES is key to keeping you healthy! Check out the options below for some veggie-filled dishes that are full of flavor and nutrients! 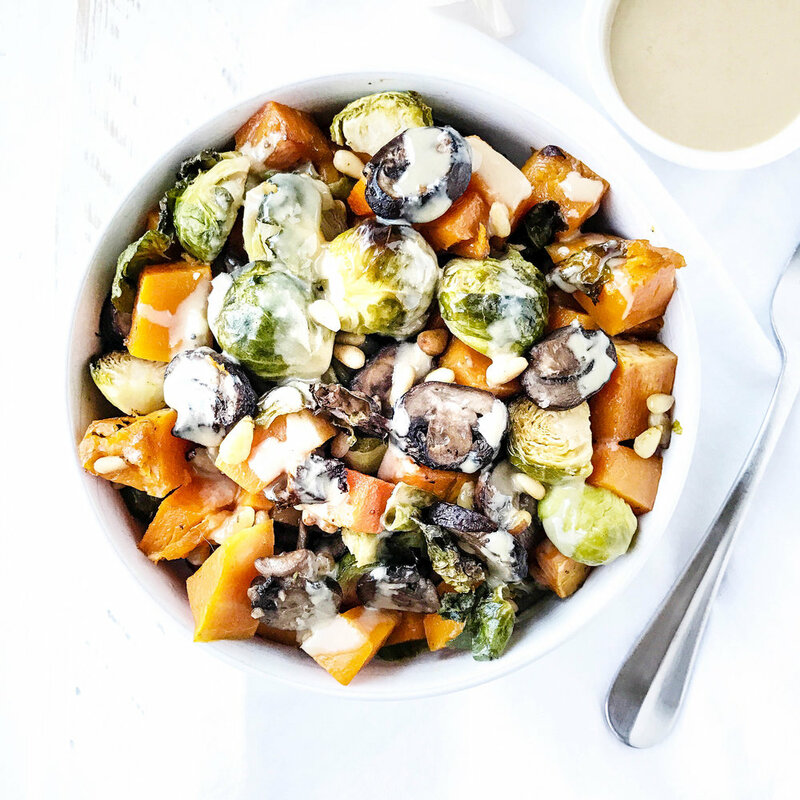 This roasted veggie bowl from Simply Taylor's blog looks mouthwatering and is full of the good stuff! These teriyaki stuffed mushrooms by Health Coach Philly look BOMB and would be a hit at any family gathering! If you're looking to satisfy your sweet tooth without of all of the yucky refined sugar and carbs, these chocolate zucchini brownies by No Bread are for you! I mean really, how delicious do these look?! ... And there you have it! When you prioritize mindfulness and proper nutrition throughout the holiday season, you're sending your body the love and attention it craves. There is no shame in the self-love game ;) Remember, in order for you to show up for others with love and grace, you first need to show up for yourself. Here is to hoping you all have a happy and healthy Christmas and New Years Eve.